Movable Type Hosting :: MovableType Services :: PRO IT Service S.R.L. - Choose a professional and accessible service for your online image! When you want to develop a Web site powered by Movable Type, your first concern is where to have it hosted. With so many hosting companies on the market, choosing the hosting company that best fits your needs can be a confusing decision. PRO IT Service would like to introduce you a solution which fits all your blogging needs. Through an authorized hosting partnership with Pair Networks Inc., PRO IT Service solves all of your Movable Type blogging needs. Pair Networks Inc. is a large and reputable US-based hosting company in business for over 23 years. 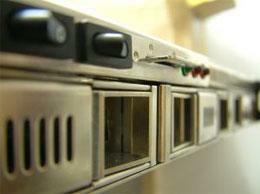 We have carefully selected them, and their servers meet all of your needs at very affordable prices. Hosting your Movable Type Weblog(s). Why to host with PRO IT Service? And because you will never encounter Error pages with your Weblog! PRO IT Service is offering you at no additional charge a daily backup of your mysql database and a weekly backup of all your data so that in any catastrophic situation we could restore your Web site on the same server or wherever online in an extremely short time frame. We are doing this at no charge because we respect you as a valuable customer and we believe your data is worth keeping in a safe place for emergency recovery any time unpredictable events may impose it. LAMP is an acronym that stands for Linux, Apache, MySQL and PHP. The combination of these powerful open-source technologies is used to define the web server's environment where your site will be hosted. In other words, your Web site should be hosted on a Linux server operating the Apache Web server, running PHP, and allowing you to develop a Movable Type-powered site with a MySQL database. This option will allow you to develop your Web site in a secure environment (Linux), allowing many benefits, including URL rewriting and other advanced server options; Apache to speed up your Publishing Platform via PHP server-side "includes"; and the speed and security of a dynamic, updatable mySQL database. For best results your server should run mySQL v4.x or newer. Movable Type allows you to create thumbnails on the fly for all the images you would like to display with your articles. You have this option when you upload the image, or you could automatically generate it using a dedicated plugin. This functionality, however, requires a plugin module called ImageMagick. To be operational in Movable Type, ImageMagick should be complemented with PerlMagick. Unfortunately there are still some hosting providers that support pre-version 4.x of, or do not have ImageMagick installed. Many hosting companies, even some of the big names, unfortunately do not share enough server resources with their customers. That is because or they have too much customers, oversell the server capacity or do not invest on top quality devices. As a consequence the Movable Type Support Forums are full of hundreds and hundreds of support requests mentioning various problems with all sort of Errors, mainly Error 500. Do your research seriously or apply for PRO IT Service's hosting package and we guarantee that you get your money back if you experience any problems hosting with us.